This week, with Tartan Day being just around the corner (July 1), it seemed like the perfect time to examine the Burns Statue in the Domain. This statue is just one of the many statues which are to be found in and around Sydney’s beautiful Botanic Gardens and Domain. So why, and how exactly one might wonder, did Sydney come to have such a grand statue of a Scottish poet? 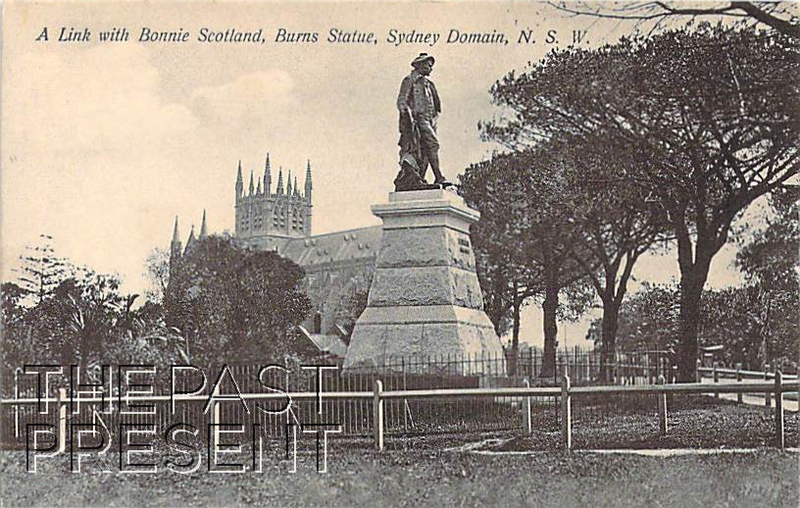 Sydney has, since colonisation began, had a strong community of Scottish people, and in the late 1800s a group of these Scots came together to raise funds for a statue of the iconic poet, Robert Burns. They pledged to eat Haggis each year on January 25, and collect funds for the rest of the year to make the statue a reality. 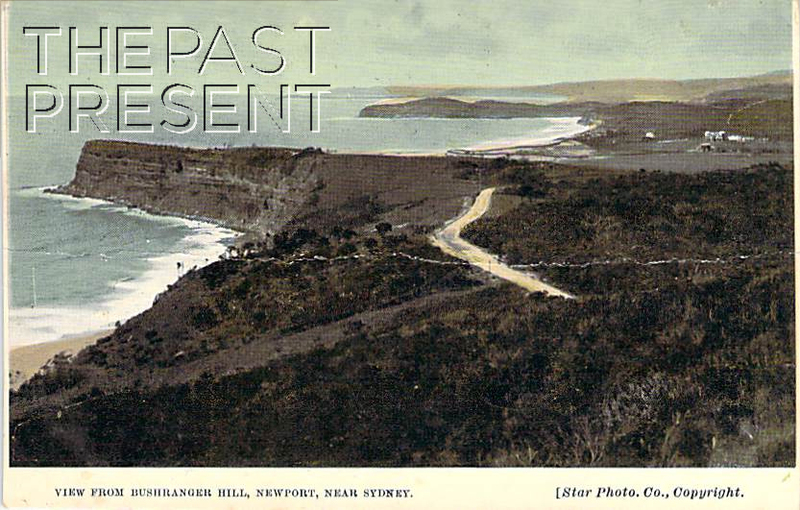 In 1898 though, the group decided they needed to enlist the Highland Society of New South Wales. They handed the accepted funds (over 55 pounds) to the society, and the society took up the cause. So loved was Robert Burns by the Scottish Australians that a Mr Muir even published a brochure called “An Australian Appreciation Of Robert Burns” to further support the cause. Finally, after years of effort and fundraising, in 1905 the statue was completed, and unveiled to a crowd of thousands in late January. The statue itself was the work of London sculptor F. W. Pomeroy, who masterfully created the statue which shows Burns leaning on a plough and wearing clothing which is much the same as that seen in portraits of the poet. The poet is holding a pencil and note pad, posed to compose a new work and over his shoulder falls a length of Scottish plaid. The plaid cascades down the poets back, across the plough and partially hides a Scottish thistle, the symbol of Scotland, and an aspect of the statue many are likely to miss. The image above is a beautifully captured glimpse into what Sydney Station, now known as Central Station, looked like in days of yesteryear. It is an intriguing glimpse though, showing something which most passengers would likely not have seen, or at the very least, not noticed. 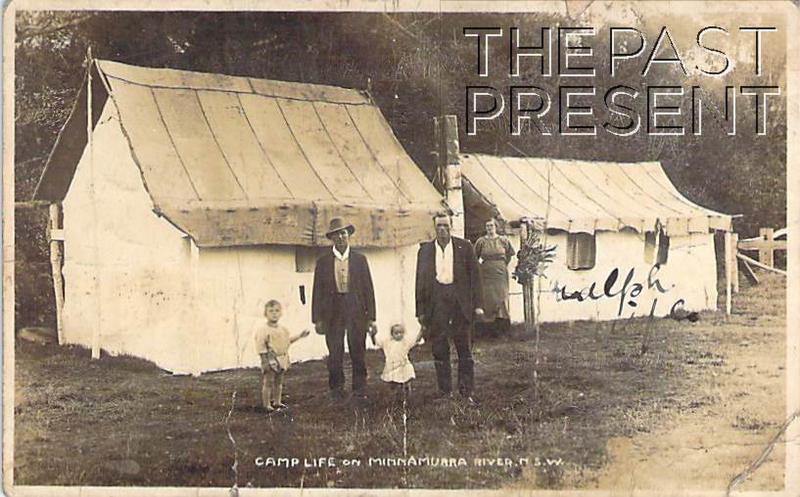 The site where Central Station now stands preserves evidence of the very first phase of railway in NSW. Not only does it encapsulate the changes from steam to electric railways, but also changes in the technology which has been used for signalling. Over time Central has had a variety of signal practises, including the signal boxes pictured above. 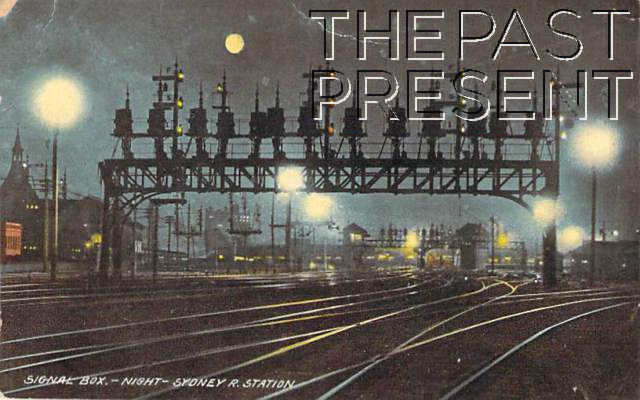 Signalling had not always been part of railway practice in Australia. In the earliest years it had seemingly been assumed that trains would, if they kept to the time table, and even if they operated on the same line, not crash into one another. The earliest use of signalling came in the late 1870s, when there had been several very close misses between trains. Then, in 1878 two trains collided at Emu Plains, and this crash (which killed three) put an end to trains running on single lines. As more lines were introduced, and the system became more complex, signalling became vital to safely running the railway system. In 1906, when Central Station expanded to include platforms 9 and 10 four signal boxes had to be added. These were overhead signal boxes which used a mechanical system for signalling, but in 1910 electro-pneumatic technology was introduced and only 2 signal boxes were needed. By the 1920s the signal boxes were vital parts of the complex railway system at Central, which had complicated lines, cross overs, junctions and points. The signal boxes kept the passengers, and the valuable railway system and machines themselves safe.